Yes, it's true! New patients, we're offering 20 free units of Botox or Dysport to smooth fine lines and wrinkles for a limited time. There's no gimmicks or minimum amount required - we simply want to earn your patient loyalty. Schedule your consultation with our Injection Specialist to redeem your free units asap. This won't last long! Will Botox results look natural? Our injection specialist is trained to provide natural, beautiful results. However, Botox results can look unnatural if you do not have a trained, experienced Injection Specialist. What is the cost of Botox per unit? Currently, you can receive 20 units for FREE. After that, our standard price is $12/unit. How many units of Botox do I need? The average amount people get ranges from 40 to 60 units. However, your goals, severity of your current wrinkles, and desired results affect the total number of units you'll need. Surprisingly, no! We're heard many patients describe it as a little pinch. Goal: Achieve subtly enhanced lips - also known as the "Lip Flip"
"There was a little bit of pressure but it wasn't as bad as I imagined, it went by really quick." 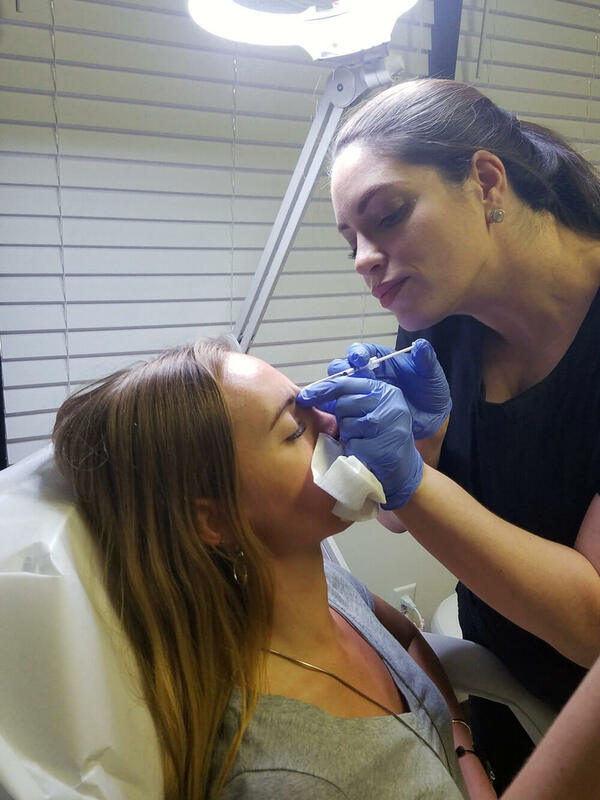 At 21 years old, patient 1 is a first-time Botox user. As she had no visible signs of aging, she decided to try a lip flip. This involved Botox injections along the outside edges of her lip, which rolls the lips outward and gives it a lifted appearance. The procedure only totaled 8 units of Botox through 4 injections, and it was over in about 15 seconds. "Oh, that's not bad at all. It feels like a finger prick!" 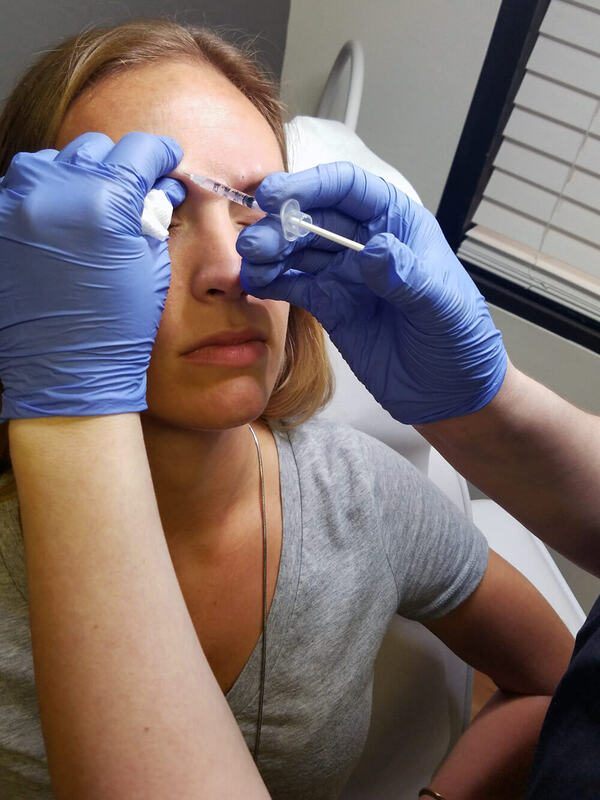 At 28 years old, patient 2 is also a first-time Botox user! She decided to use her 20 free units of Botox on the frown lines between her eyebrows to smooth out the "furrowed" look. The procedure only totaled 20 units of Botox through 4 injections, and it was over in about 15 seconds. After just a few days, patient 2 started noticing effects and by the end of the week, her frown lines were gone! "I'm excited, I'm not nervous. I'm not a pro but I'm not nervous, bikini waxes are way worse!" At 29 years old, patient 3 is a second-time Botox user, though this was her first time at HZ Plastic Surgery. Her procedure totaled 35 units and covered the frown lines in between her eyebrows as well as the static lines on her forehead. Patient 3 was amazed with her results. After hearing about her previous experience and her desired result, our injection specialist suggested she address the static lines across her forehead as well. The combined effect was exactly what patient 3 had wanted!